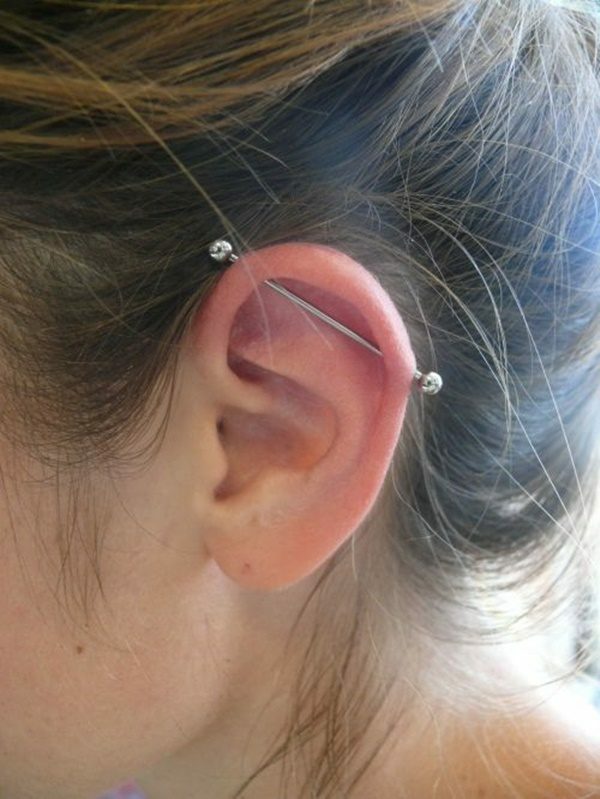 Needless to say, there are a lot of body piercings that you can choose, and one of these is the industrial piercing. 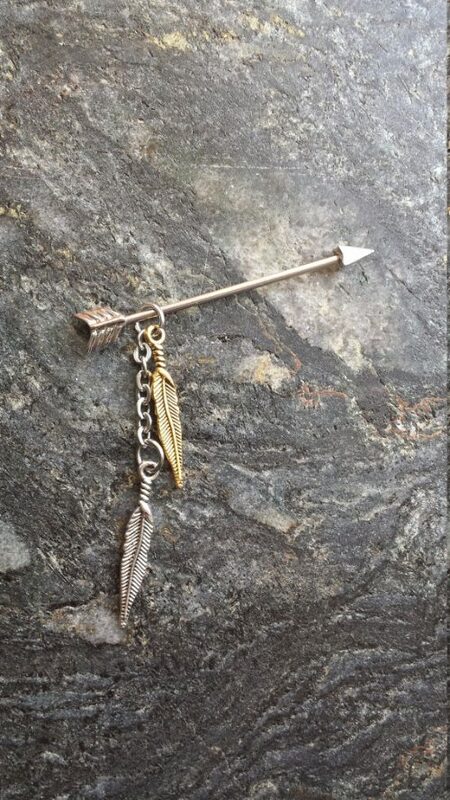 This particular is very unique and gorgeous body adornment that is perfect for men and women out there. 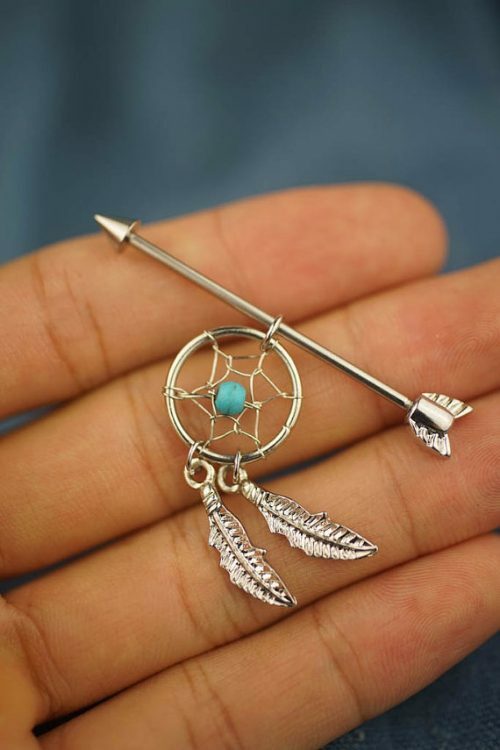 It is a piercing that is not that visible to the eyes of many people who are surrounding you. For sure, you are wondering why it is called industrial, and where it is exactly being located. 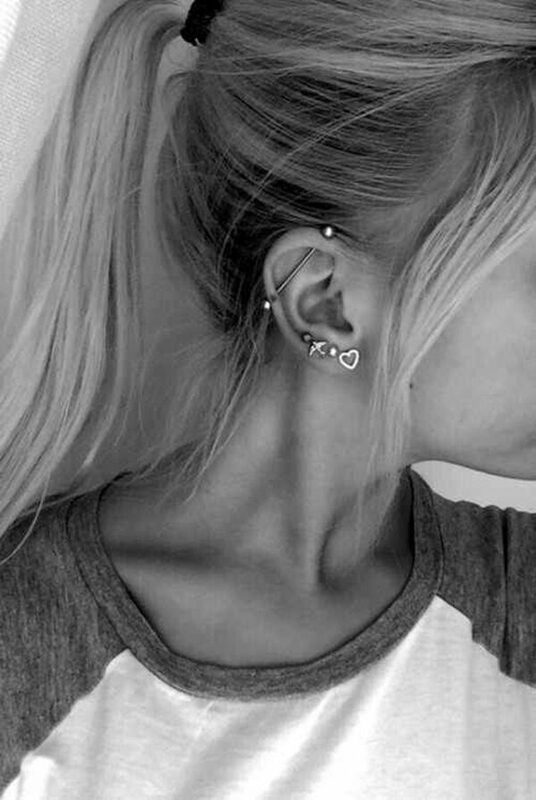 It is actually a kind of ear piercing that needs two holes in your ear cartilage so that you can achieve the amazing look this piercing can exude. Basically, the two holes are created right there at the top cartilage of your ears. The specific length measurement that one hole has to the other hole is 2.5 up to 3 inches. 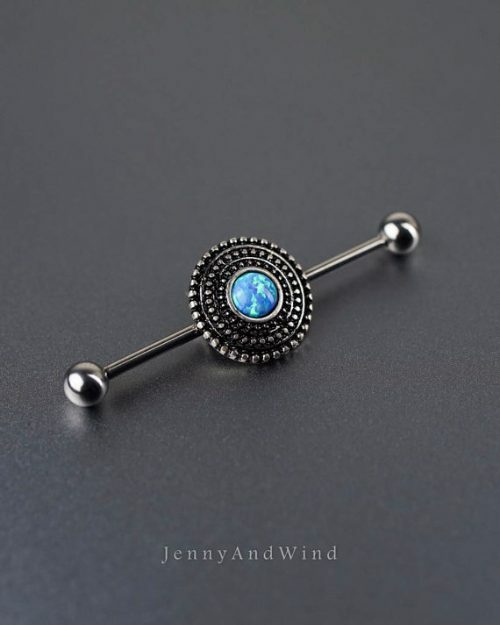 The gorgeous beauty of this piercing can be highly achieved with the use of a barbell jewelry, since this jewelry option has two heads. It actually has some other names and these names are commonly used in several countries in the world like United Kingdom and Ireland. 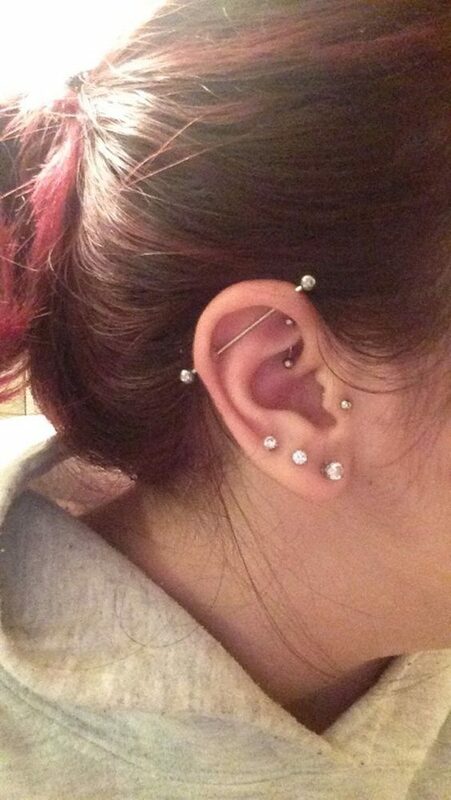 These names are construction piercing, scaffold piercing, and bar. The piercer will clean well the entire part of the ear cartilage where the piercing should be done. Cleaning it is very important so that horrible infections can be avoided. 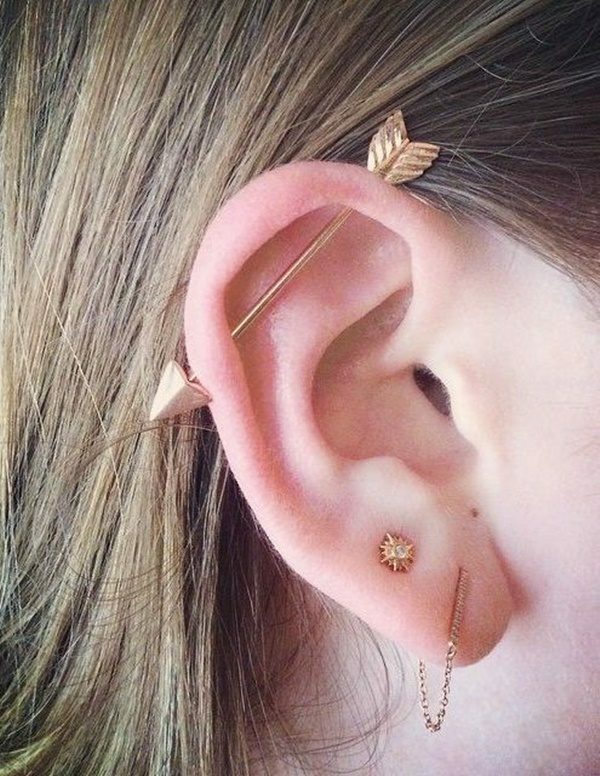 You don’t want these infections to ruin your piercing goal, right? The next thing expected to be done is the piercer will mark the parts where the two holes will be made. This is done through the aid of a surgical marking pen. 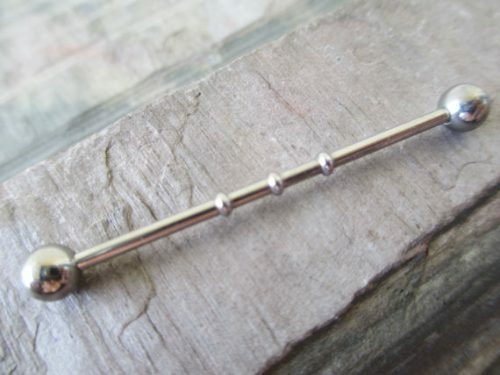 Without this tool, it may be impossible for the piercer to align well the holes important for this kind of piercing. 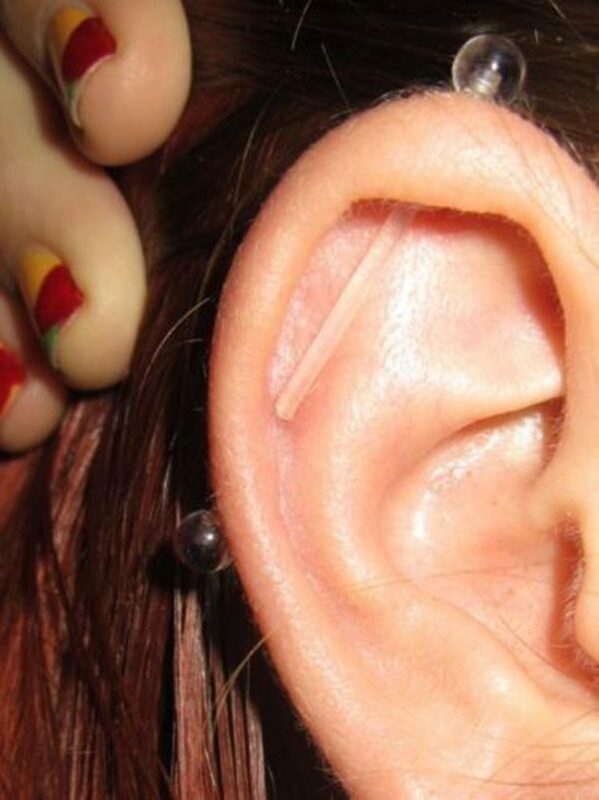 Afterwards, a sterilized piercing needle or needles will be inserted by the piercer to the exact location of the piercing. This is the painful part, but there is no need to worry since you are in good hands. When the two holes are successfully done, the piercer will then insert the jewelry of your choice. After the jewelry is inserted, then that is it. The piercing procedure is successfully done. For the final touch, the professional piercer will give you some tips on how to take good care of your piercing and the pierced area as well. These things should all be followed, so that complications can be avoided. 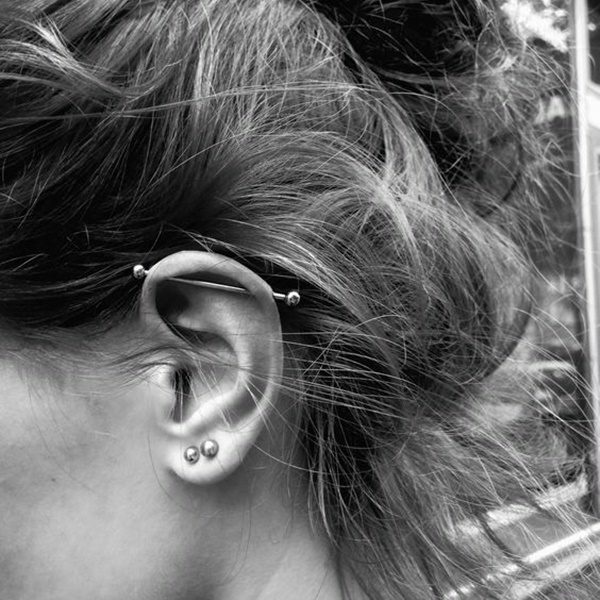 The truth is, it is always normal to feel some pain when undergoing piercing procedure, and industrial piercing is never an exemption. The level of pain may vary though from one particular kind of piercing to another. Moreover, the pain tolerance of a person will also play a very important role regarding the intensity of the pain felt by the person who undergoes such piercing procedure. You are lucky enough if you have higher pain tolerance since you will surely not feel the pain at all. But if you have lower pain tolerance, then you have to expect that pain will be felt. 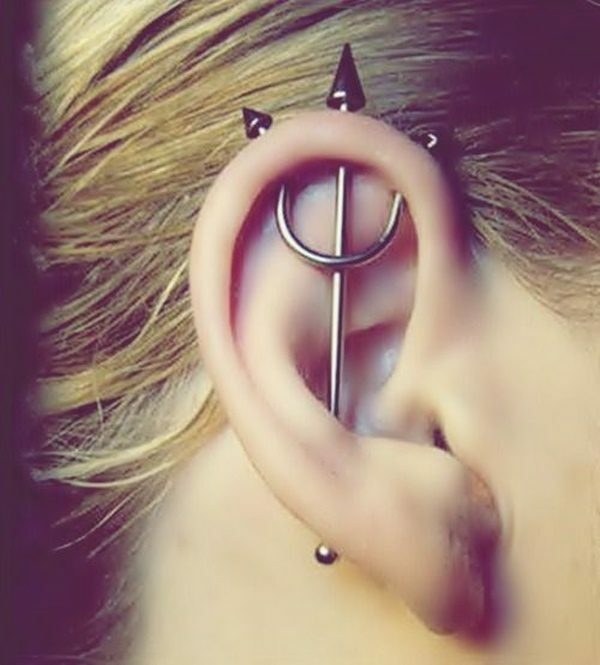 If you are really determined to have this kind of piercing on your body, then there is no way you cannot bear this pain. You just have to think that you can do it, and everything will follow. If you think that the pain will just be felt during the piercing procedure, then think again. 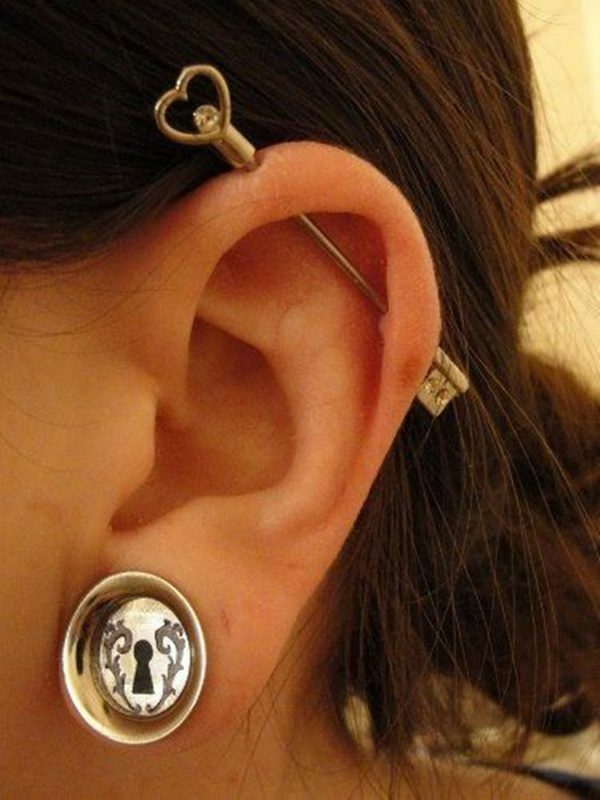 In some other kinds of piercing, pain will only be felt in the procedure itself. 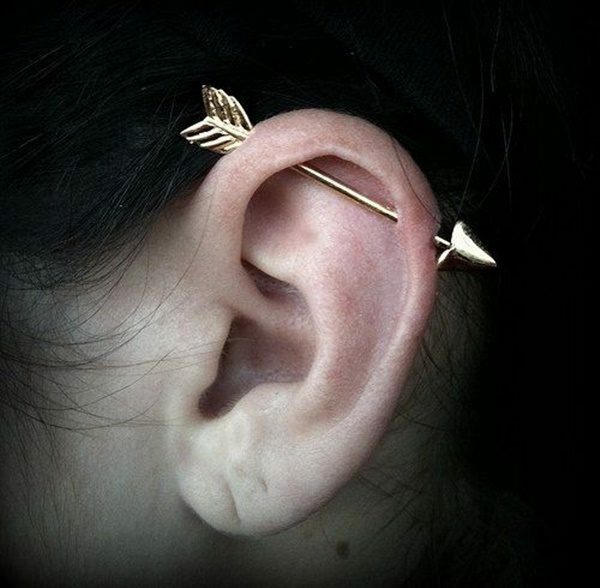 However, this is not the case for this piercing. 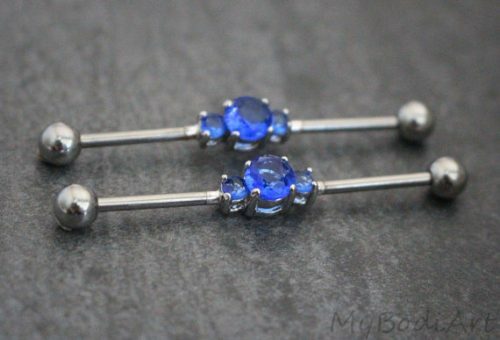 Professional piercers will surely advise you to make some twists on the jewelry when you are cleaning it, especially when you are taking a bath. This is where very intense pain may be felt, more intense compared to the actual procedure. Hence, it is very advantageous on your part to prepare yourself, because this will help you in enduring the discomfort. 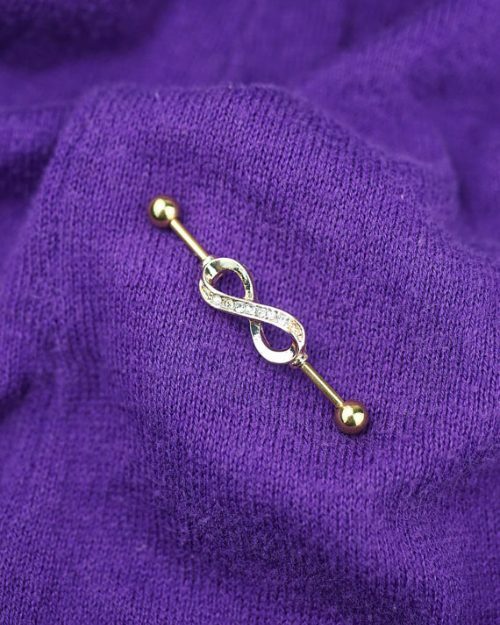 Most of the time, this piercing will require 4 weeks up to 6 months before it can finally heal inside. This is a little bit longer on your part, right? Thus, you have to have a lot of patience within you. It is extremely needed for waiting this longer duration of time. But the truth is, the healing process will always depend on a number of factors. The very first factor that can affect it is the jewelry of your choice. 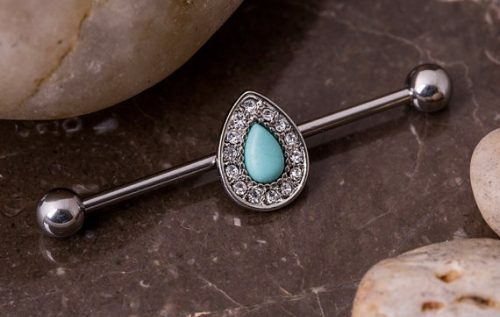 If the jewelry is weighty enough, it can have a higher possibility of straining the pierced area that may result to some irritations. These irritations can be minor or severe, so you need to prepare yourself. In order to avoid these however, choosing a lighter jewelry would be a great idea. Another thing that can affect the healing process is the procedure itself. If it is done the wrong way, then possible complications may occur along the way. When this happens, then much longer healing process is expected. 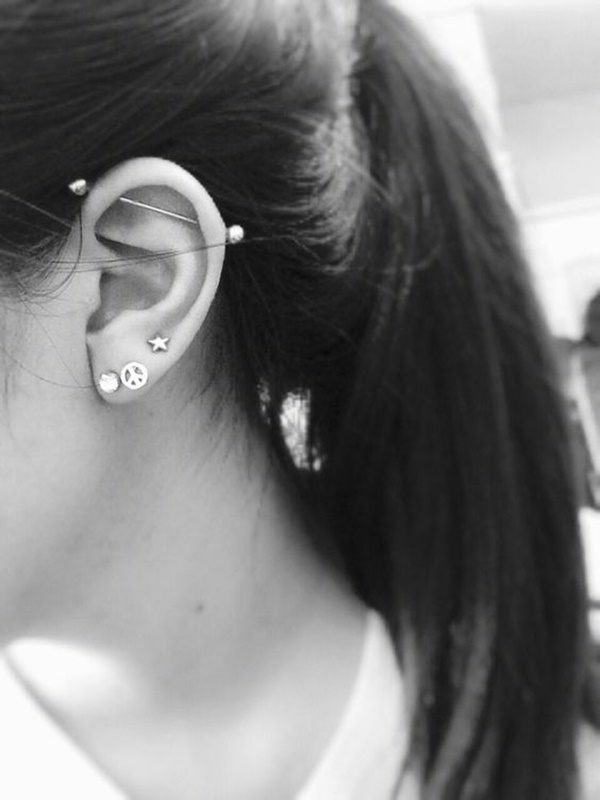 Lastly, the healing process may depend on how you take good care of the piercing and the pierced area. 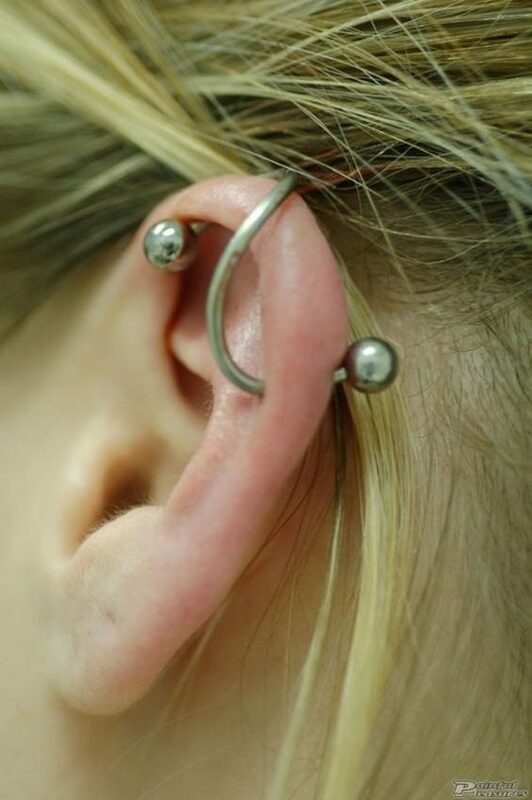 This is exactly where the aftercares advised by your professional piercer can be very helpful. 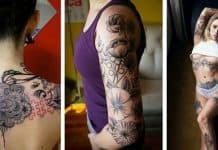 If you are responsible enough to follow all of those, then it may just take you a couple of weeks to make your piercing fully healed. Wearing hats – What do you think is the main reason why you need to avoid wearing hats? Well, it is very obvious actually. 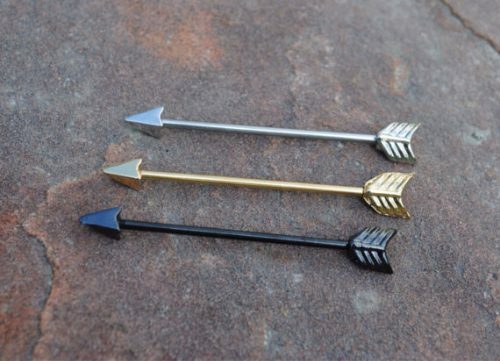 It is because hats may touch the area where your industrial piercing is located, and when it happens more frequently, then the possibility of irritation is higher. Wearing uncleaned clothes – Clothes can be the breathing grounds of bacteria, especially when they are not cleaned well. The worse part is, these hundreds of bacteria may have a direct contact to the wound of the pierced area. When this happens, then horrible complications may develop. Changing the jewelry – The jewelry must not be changed if the pierced area is not yet on the full recovery period. Because when it is done on that condition, the wound caused by the piercing procedure may get irritated. Swimming in pools, beaches, and saunas – These places are great to be spent with if you will take a bath. The problem is, these may contain some bacteria without noticing it. This is the reason why you need to avoid doing such. 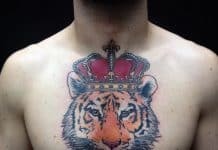 Touching the pierced area – The thing is, you are only allowed to touch the piercing and the piercing area as well when it is necessary like the cleaning time. However, you must keep in mind to wash your hands first. 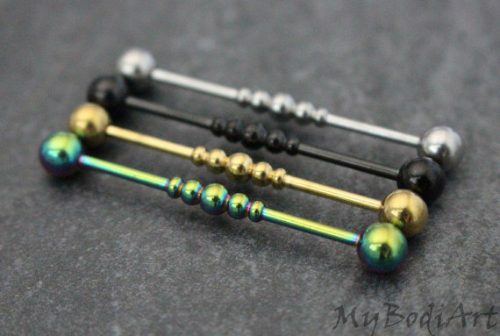 With this, you can be sure that bacteria will not spread to the entire pierced area. Cleaning with alcohol – Alcohol is a very strong liquid that can irritate the wound of the pierced region, so you must avoid using it when cleaning. Make sure to only use mild products. The pierced part is having a puss discharge. You can feel very intense discomfort when the jewelry is touched or moved. Extremely visible redness is covering the entire pierced area. 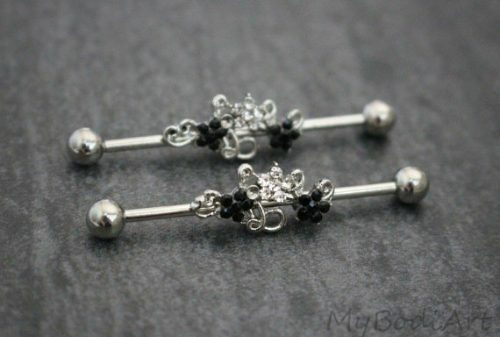 You constantly feel the soreness on the pierced part. 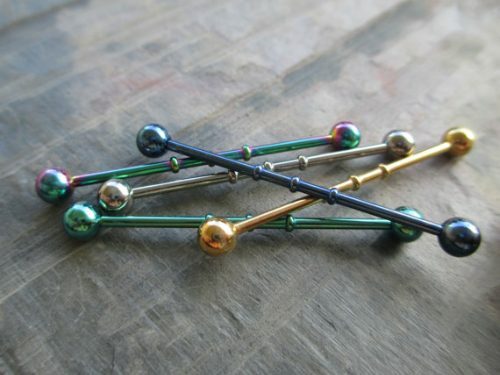 All of these things are visible signs of infection on your piercing. Hence, when you experience or observe all these horrible things, then the best thing to do is consult a doctor. Have your pierced area checked, and get some helpful advices. Keep in mind that your own health should be the top priority, and not your piercing. 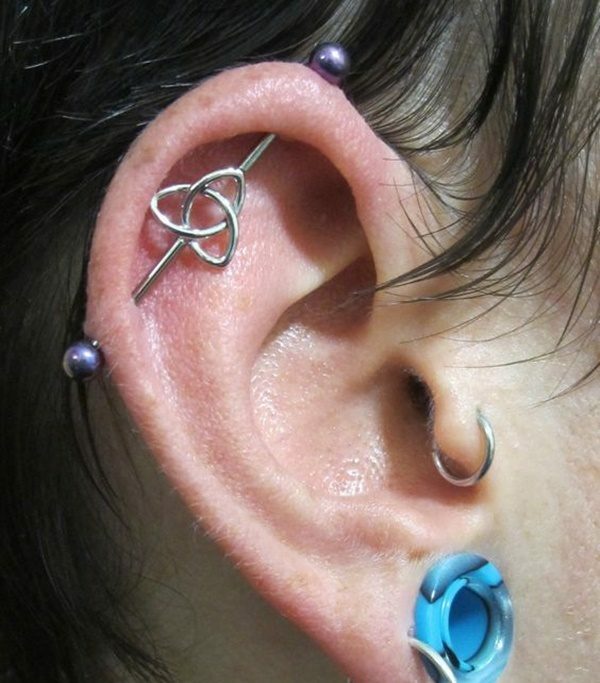 Furthermore, the signs of infection also mean that your body rejects the piercing. 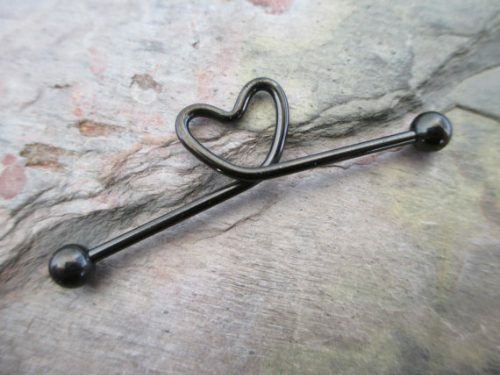 Meaning to say, you are not compatible to have this particular piercing. 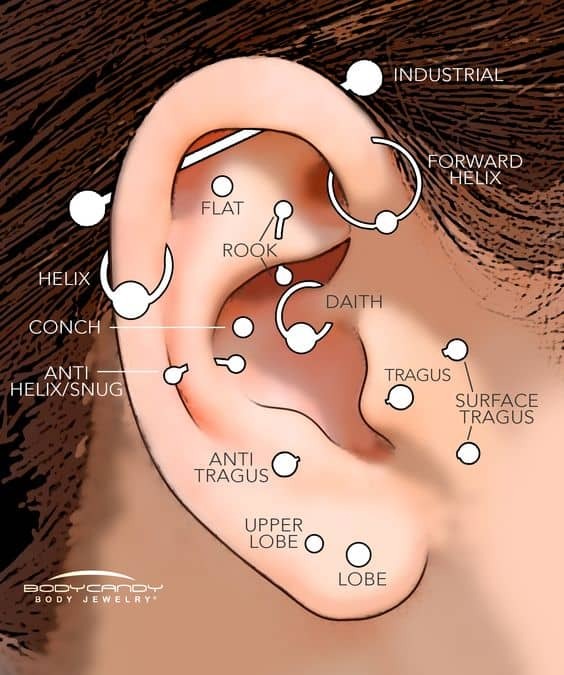 If this is the case, it is better to think for another piercing kind that you can incorporate to your body, which is compatible to you and will not put your own life at risk. 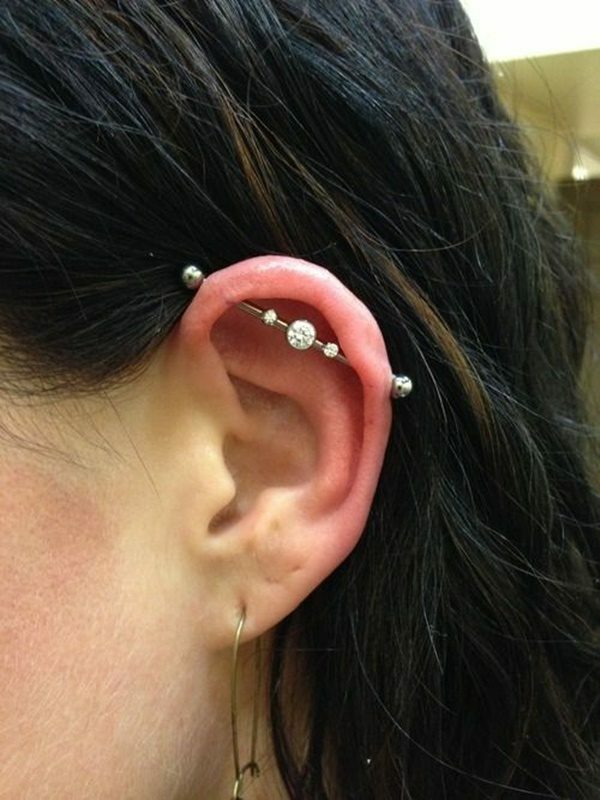 Just like any other piercings on the body, this piercing procedure also has its own cost. This cost will depend on a number of things. 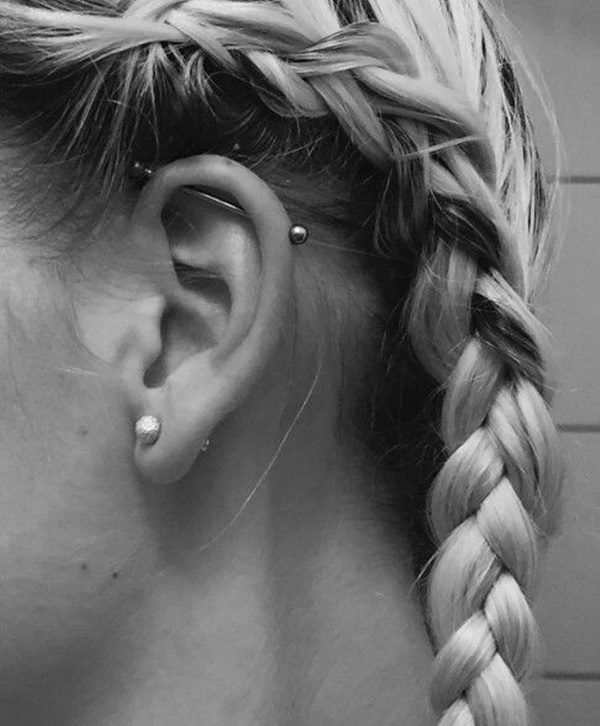 Meaning to say, the cost of this piercing procedure will vary from one piercing shop to another. 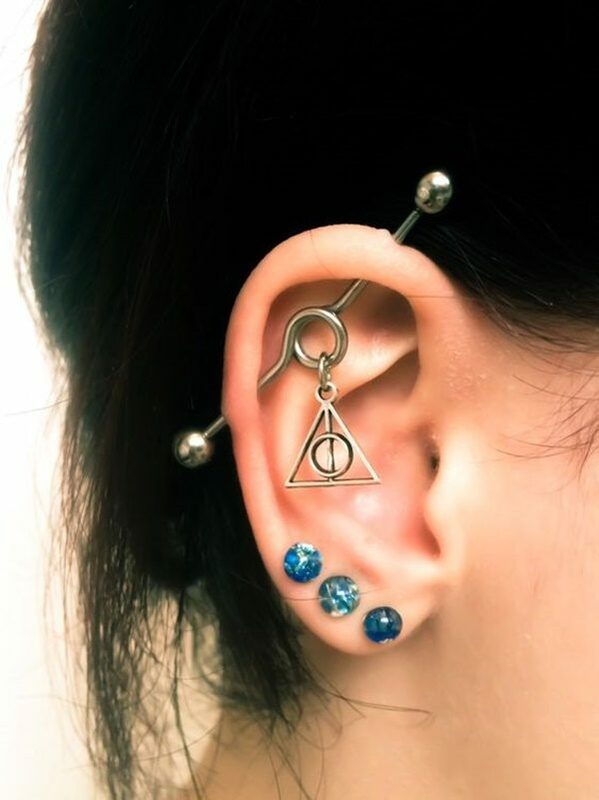 One factor that can affect its price is the reputation of the shop and the piercer himself or herself as well. 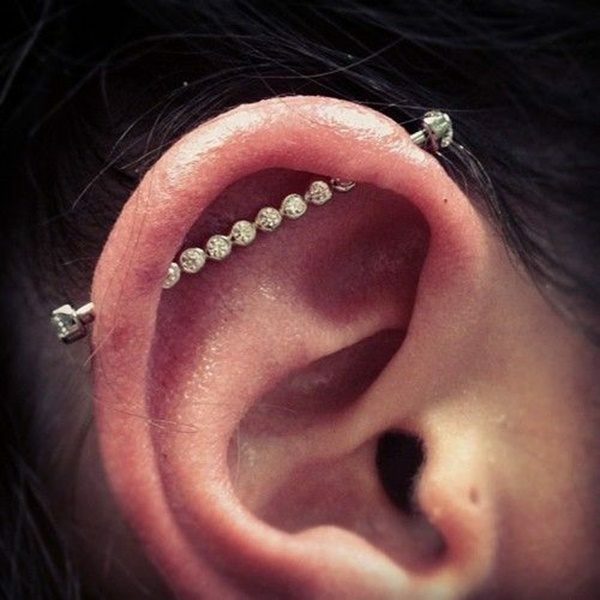 If he or she is reputable enough, then he or she has the right to demand for much higher fee of course, making the overall piercing cost higher. Another factor is the jewelry you choose. Every jewelry also varies in prices, and these prices of them will affect the entire cost of the piercing procedure. 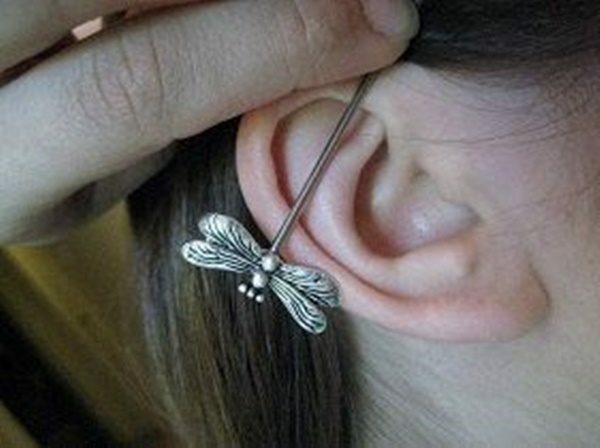 Nevertheless, the cost of having industrial piercing will start at $50 up to $70. 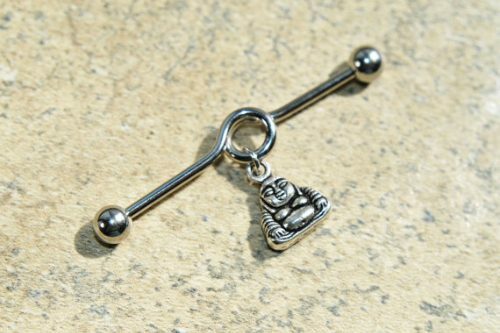 What is even the best about these barbell options is the fact that they are available in various sizes and shapes. Keep in mind that the shapes and sizes of the jewelries will also play very important roles. 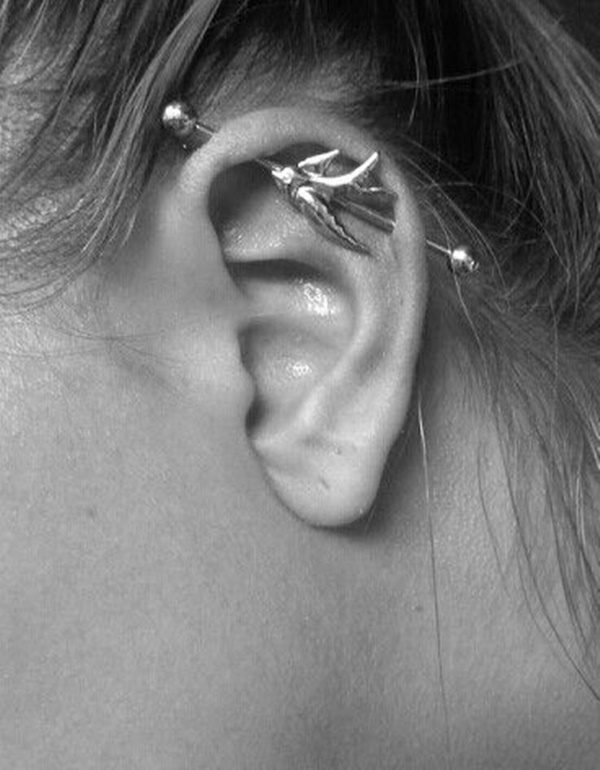 Without a doubt, industrial piercing will look great on you. 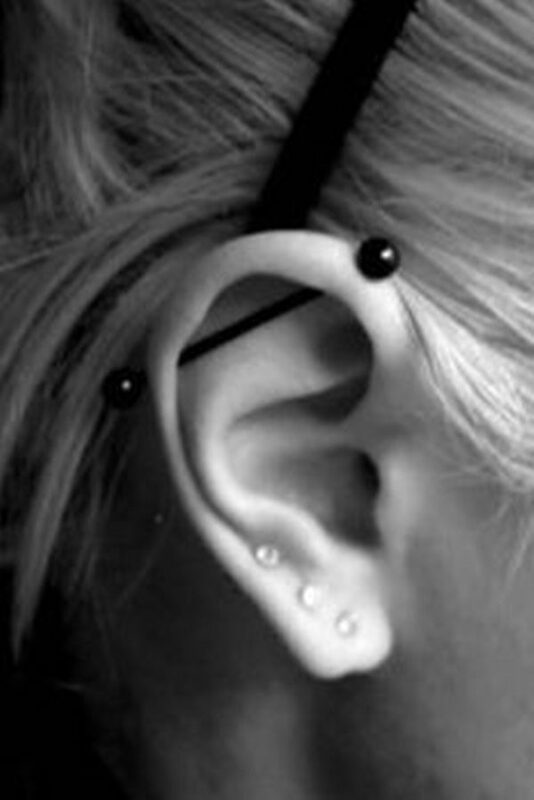 However, there are cases that this piercing would be very advantageous on your part. Because of this, you need to think about it many times before giving it a go. In this way, you can be sure that regrets will never come your way. 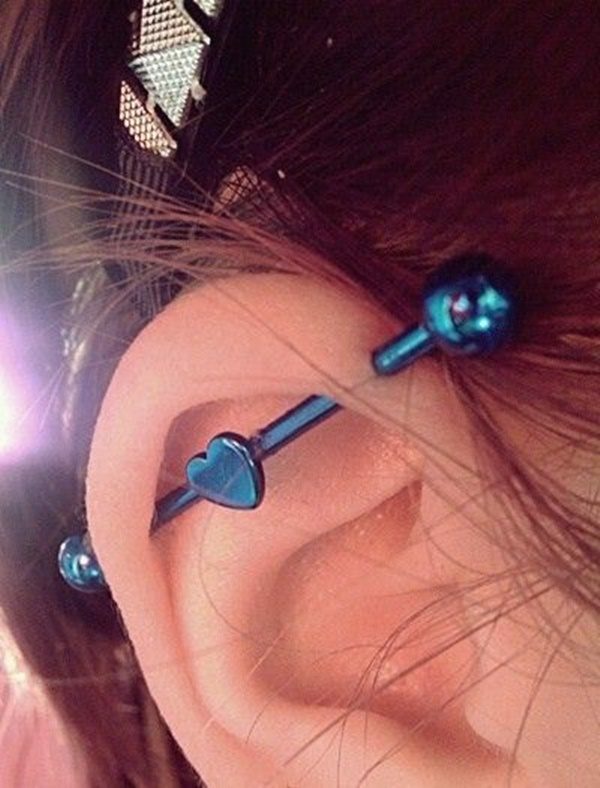 Also check our articles on popular ear piercings types Helix Piercing, Forward Helix Piercing, Rook piercing, Snug piercing, Conch Piercing, Daith Piercing, Tragus Piercing and Orbital Piercing.